Car accidents in the Columbia, MD area happen quickly and have the ability to change your life in an instant. In a split second you could be left with a lifetime of permanent injuries, lost wages, significant medical expenses, and even the loss of a loved one. When a serious car accident affects your life you need skilled legal assistance in the form of an experienced auto accident attorney. The Columbia Maryland car accident lawyers and Clarksville, MD auto accident attorneys at The Turnbull Brockmeyer Law Group are experienced in effectively handling your case so that you can recover the compensation you deserve. Dial (410) 321-8860 for a free consultation. Our Columbia Maryland car accident lawyers charge no fees if they do not win for you and your family. Proudly serving accident victims in Annapolis, Baltimore, Bel Air, Clarksville, Rockville, Salisbury, Ellicott City, Essex & Glen Burnie, Maryland. A car accident may lead to complex litigation involving multiple defendants, large insurance carriers, and significant damages. When you need an attorney experienced in pursuing maximum compensation for serious injuries, we are a law firm you can trust. 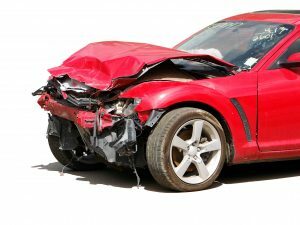 Our Columbia Maryland car accident lawyers handle all car accident cases including hit and run, trucking accidents, pedestrian accidents, and drunken driving cases. Our experience allows us to provide every one of our clients with the comprehensive legal service they need after an accident. Motorcycle accidents often result in serious or fatal injuries to the biker. If you or someone you love has been injured in a motorcycle accident, we will begin an immediate investigation to identify the cause of the accident and pursue every source of compensation including negligent drivers and insurance companies. If you have suffered a traumatic injury motorcycle accident, contact our Columbia motorcycle accident injury lawyers for a free consultation. Contact us today to speak with our experienced Columbia Maryland car accident attorneys regarding your legal rights after a car crash. We offer free consultations and can answer any questions you have before proceeding in your case. You are welcome to call our Towson personal injury law office directly at 410-321-8860. We charge no fee if we do not win for you and your family. Our Columbia Maryland car accident lawyers serve many areas of Maryland including Towson, Annapolis, Abingdon, Aberdeen, Bel Air, Carney, Catonsville, Clarksville, Cockeysville, Dundalk, Edgemere, Ellicott City, Essex, Glen Burnie, Havre De Grace, Luthersville, Owings Mills, Timonium, Pikesville, Randallstown, Reistertown, Odenton, Pasadena, Crownsville, Linthicum, Edgewater, Severna Park, Crofton, Jessup, Crofton, Columbia, Joppatowne, Edgewood, Fallston, Churchville, Columbia, Scaggsville, Fulton, Elkridge, NorthLaurel, White Marsh, Baltimore, North East, Chesapeake City and Elkton, Maryland.